There are many people who ponder on the question “what is an IRA?”. IRA is an umbrella term that is used for all retirement plans that provide tax advantage for retirement savings in the United States. IRA itself stands for individual retirement account or it could even mean individual retirement arrangement. These tax saving plans for retirement were introduced in the 1970’s by the Employer Retirement Income Security Act. Since then, they have become popular and there are different kinds of retirement savings plans that are available today. Among the IRAs, there are different types of plans such as, Traditional IRA, SEP IRA, Roth IRA, and the Simple IRA. The traditional IRA is a retirement account to which contributions are made before taking into consideration any income tax (pre-tax). Also, all the contributions are made to these investment plans are tax-deductible. The funds in the account usually grow tax-deferred and do not have any impact on the tax until it is withdrawn. When the fund is withdrawn from this account, it is usually taxable as income tax in the hands of the individual. These are some of the best plans available for average retirement savings. One of the most popular IRA accounts is the Roth IRA so you may want to know what is a Roth IRA. 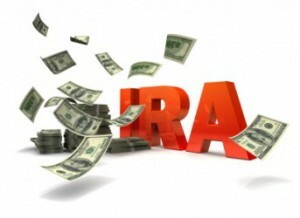 The Roth IRA refers to the IRA plans in which contributions to the account are made after tax deductions. The benefit in these plans is that all the transactions in the account have no impact on tax and consequently the withdrawals are also tax-free. The Roth IRA accounts were introduced in 1997 by the Taxpayer Relief Act. In this type of IRA accounts, the individual is provided with the provision that allows an employer to make contributions to the traditional IRA instead of pension fund contributions. This means that the individual forgoes the pension benefits to gain benefit from the IRA accounts. The simple IRA is essentially a pension plan that is offered to the individual in which both the employer and the employee contribute towards the account. Although it may seem a little similar to the 401K plan, it has a lower contribution limit which also means lower cost and easier administration. Although the simple IRA is an IRA account, for the purpose of tax is treated separately. An IRA is therefore a retirement plan that is available to all individuals in the United States. These plans offer tax benefits that are not generally available in the pension plans. These plans come with contribution limits that are set by the state government in most cases. The contribution limit is the maximum amount that can be invested towards the retirement plan in any particular year. There is also a ‘total’ contribution limit that has to be taken into consideration. The total contribution limit is the maximum amount that this allowable in the account. This means that if the maximum amount for an account is $200,000, once the fund value reaches $200,000, no more contributions can be made to this account, although it can still grow. Before investing in an IRA account, it is perhaps worthwhile to look around for the best IRA companies in the city or state. The company or provider that you choose for your IRA will have a bigger impact on your IRA returns than you may think. You can easily find yourself paying high IRA fees such as trading charges, minimum contributions fees and custodial fees – and they will add up quickly and eat at your returns. The best IRA company we’ve found is Scottrade. They have the reputation as one of the top IRA companies today because of their no-fee IRA accounts with no minimum contributions or custodial fees. Even if you already have an IRA with another company, it’s a wise decision to switch over to Scottrade to avoid unnecessary fees and low returns – and they make it really easy for you to switch providers. *Don’t lose your IRA return rates on unnecessary fees and charges. Make your IRA work FOR you – and the first step is to make sure you’re working with the best IRA company available.